Eun-Hye “Grace” Lee appeared on Show 162, recorded in June 2007, at age 18. 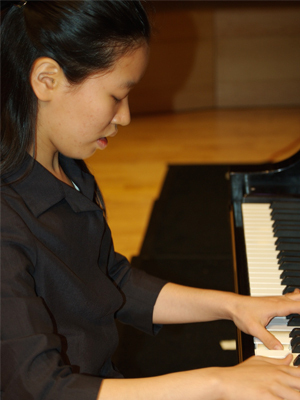 Eun-Hye “Grace” Lee (piano) 17 is a recipient of From the Top’s $10,000 Jack Kent Cooke Young Artist Award. A resident of Los Angeles, CA, Grace is a senior at Hamilton High School Academy of Music. A native of South Korea, Grace enjoys composing music and playing the synthesizer. Eun-Hye is a Jack Kent Cooke Young Artist.